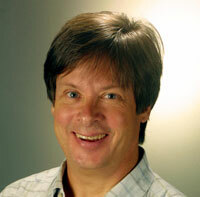 What's In Your Gadget Bag, Dave Barry? The main thing I carry in my gadget bag is about 28 different power converters. I don't know what they're all for: Some of them date back to the early 1990s. But if I ever need to recharge a notebook computer that I no longer own, I am READY. The current working computer that I usually carry on the road is a Sony PCG-TR3A. I like it because it's small and light and has decent battery life. It has lousy speakers, so if you want to watch a DVD on it, you need headphones. I have a Sprint network card that plugs into my notebook so I can get on the Internet anywhere. That is the good news. The bad news is, it's pretty slow. It is just now receiving radio signals originally broadcast by Marconi. My phone is a Treo 600. It's a bit too big, but I like that it syncs easily with my computers, and it has everything in it — contacts, calendars, email, and a really, really bad camera, which I call "The CrapCam." I take pictures on it and post them to my blog, mainly because the quality of the photos enrages the blog readers and causes them to rant in an entertaining manner. I'm thinking of getting the Treo 650, which apparently has a better screen. But it also has a better camera, and I don't know that I'm prepared to get rid of the CrapCam. In accordance with federal law, I also have an iPod. It has 15G of memory, which is at least 14G more than I actually need, since I realize in my old age that I really only like something like nine songs. I have Bose noise-canceling headphones, which are wonderful on planes. The plane could make an emergency landing in the ocean, and those of us with Bose noise-canceling headphones wouldn't notice until squid swam past our seats. I also have those little Altec Lansing inMotion iPod speakers, which are nice and light and sound pretty good in a hotel room. That's what I usually carry. Pretty limited, I admit. I play in a rock band of authors, and one of the actual musicians who sometimes joins us is Roger McGuinn, the great singer/guitarist and co-founder of the Byrds. Roger is a MAJOR gadget freak. He travels the land in a custom van containing more than one GPS, not to mention many other devices. One time we were at the home of author/band guy Ridley Pearson, and my daughter and Ridley's girls were running around shrieking very loud, as little girls do. So we were wondering how loud they were shrieking, and Roger said, "Wait a minute." He went out to his van and came back with a decibel meter. He held this in front of the girls and asked them to shriek. They did, and Roger showed us the decibel reading: 111 decibels. But my point is that, gadgetwise, I'm nowhere near Roger's league.